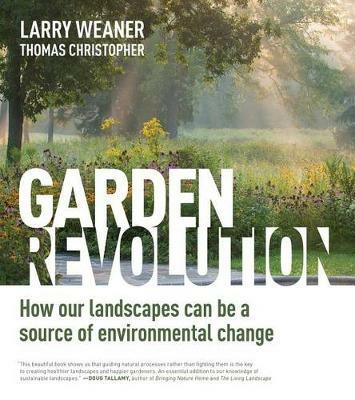 Larry Weaner is an icon in the world of ecological landscape design-he has designed more than 200 meadows in his thirty years in the business and is the founder of the annual conference New Directions in the American Landscape. And now his revolutionary approach is available to all gardeners. The Evolving Landscape shows how an ecological approach to planting can lead to beautiful gardens that buck much of conventional gardening's E counter-productive, time-consuming practices. Instead of picking the wrong plant and then constantly tilling, weeding, irrigating, and fertilizing, Weaner advocates for choosing plants that are adapted to the soil and climate of a specific site and letting them naturally evolve over time. Allowing the plants to find their own niches, to spread their seed around until they find the microclimate and spot that suits them best, creates a landscape that is vibrant, dynamic, and gorgeous year after year. The lushly-photographed reference, the crowning achievement of a long and successful career, is an important moment in horticulture that will be embraced by anyone looking for a better, smarter way to garden.